Desiya Murpokku Dravida Kazhagam was formed in Sept 2005. This party contested in all 234 seats in the state elections in May 2006 with Vijayakanth contesting in Vridhachalam. 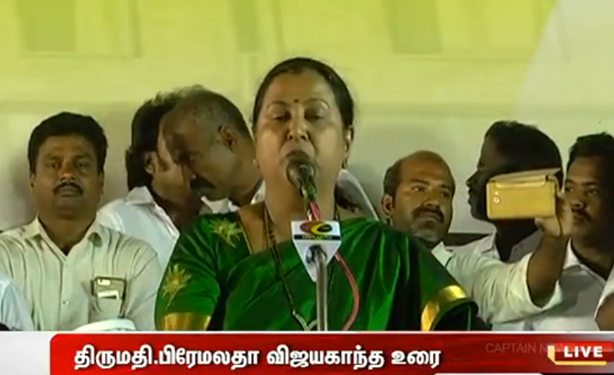 o She called upon the people to pray to God (appeal to Iraivan) – stating that those who ruled the State have not been efficient. People can appeal to State / Central Govt; High Court and Supreme Court – and if nothing happened – only way is to appeal to Lord ! o She urged the people to seek military rule – her logic was during Emergency, people came to work on the dot and trains ran without any delay. Her appeal was for a Military Govt and that Military Govt would give solutions easily. o She spoke of some history – of King Rajaraja Chola waging war on Karnataka in 1011 (or did I hear 1041 wrongly), forcing King Narasimha to release water; then Rani Mangammal sending strong signal with a big army and later Kamarajar during his golden rule threatening Hanumanthaiah, the then CM of Karnataka to release water. the correctness of the later part, that is reference to history – wars and its timelines upon search do not gel. Still it was a powerful speech – minutes later Capt,. 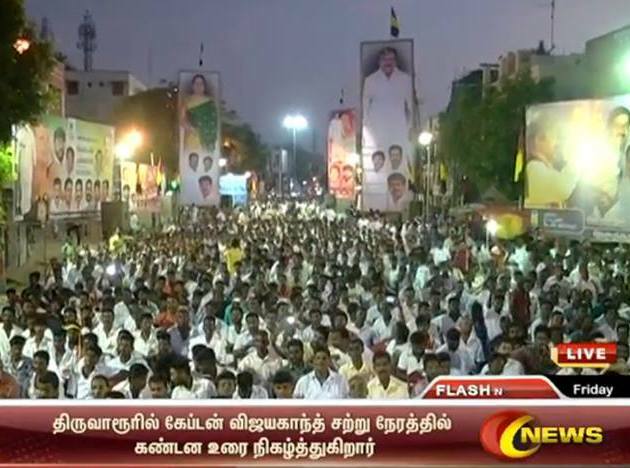 Vijayakant addressed the rally. He has some health issues – hence the speech was not clear and someone appealed him to just wave his hands, which he did enthusiastically. Ponni (Cauvery) has a fond place with Tamil lore. The historical novel written by Kalki Krishnamurthi narrating the story of Arulmozhivarman (Raja Raja Chola) – ‘Ponniyin Selvan’ is part of Tamil literature. Raja Raja Chola I (or Rajaraja Chola I) ruled between 985 and 1014 CE. During his reign, the Cholas expanded beyond South India with their domains stretching from Sri Lanka in the south to Kalinga in the north. Raja Raja Chola also launched several naval campaigns that resulted in the capture of the Malabar Coast as well as the Maldives and Sri Lanka. Raja Raja Chola died in 1014 AD and was succeeded by his son Rajendra Chola. Rajendra Chola I accessed the throne in 1014 CE and extended the influence of the Chola empire to the banks of the river Ganga in North India and across the Indian ocean to the West, making the Chola Empire one of the most powerful empires of India. Kengal Hanumanthaiah (1908 –1980), was the second Chief Minister of Karnataka (then, Mysore State) from 30 March 1952 to 19 August 1956. He contributed to the construction of Vidhana Soudha, the seat of the state legislature. 6th apr 2018. @ 8.15 pm. PS : I felt happy listening to her as she frequently referred to God and wanted people to look to God - divine intervention for all good things. 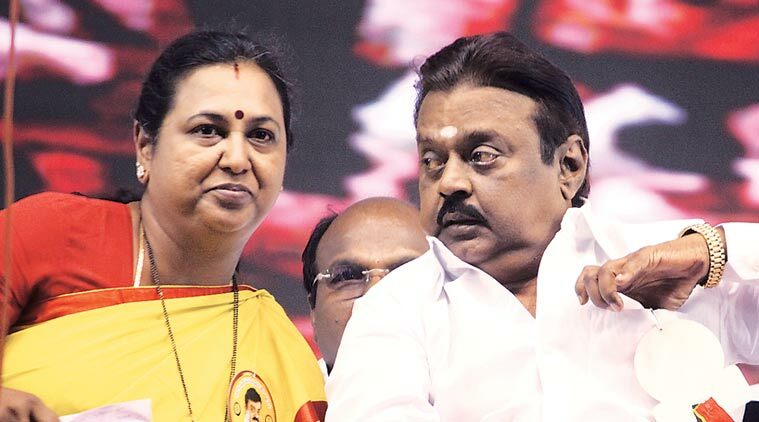 A much saner voice among dravidan politics !